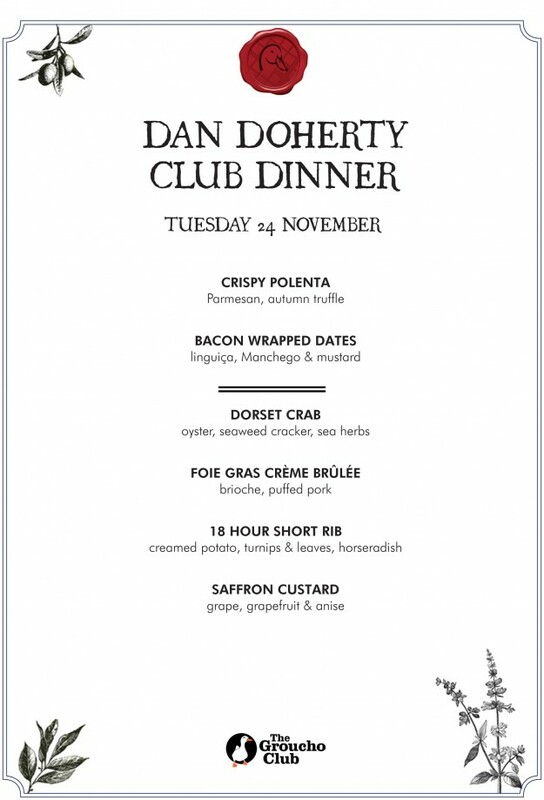 The incredible food maestro and Executive Chef at the Duck & Waffle Dan Doherty is presenting a very, very special Club Dinner at The Groucho Club. High up in his eyre on the 40th floor of the Heron Tower in the City, Dan has been creating some of the most unexpected and very welcome dishes to float down to us mere mortals below. All we need do is ask you read the menu for this evening and then recommend you book tickets fast as this will be a truly gourmatic extravaganza.